There is a character to be discovered in every place. Not the character the place already occupies in the popular mind – neither myth nor mediation feeding our preconceptions but something more akin to a psycho-geographic relationship that develops over time, moving us towards a place of self-realisation. During that time, the things we are drawn to are intrinsically tied to how we feel there and then adhering us to the object, scene or architecture that begins to make sense. 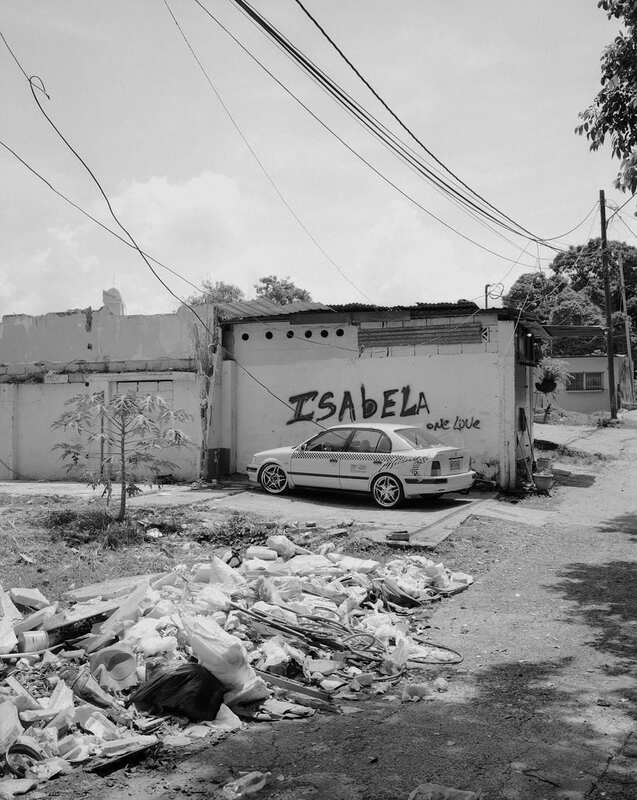 Arturo Soto’s In The Heat was brought to my attention early last year and although I felt an immediate resonance with the photographs, it was over time that their grasp on me moved beyond the purely aesthetic. Later in the same year, I had to speak to Soto about his book and how and why its came together the way it did. SS: Can you tell me some background around this piece of work. How did it come to being and published as a book on The Eriksay Connection? AS: I lived in Panama for two years. I moved there following my then partner. The project started as an exploration of my new environment. I am interested in the Situationist concepts of psychogeography and the dérive, which are methods for engaging with the city in ways that resist social conventions and attempt to circumvent the logic of capitalism. Resisting pleasures and conveniences of consumerism is always tricky, but the more I experienced different aspects of the city, the more I became aware (and frustrated by) the absence of similar manifestations in the realm of culture. I had never lived in a place where my profession and the things I cared about were treated with such contempt, which affected me deeply. 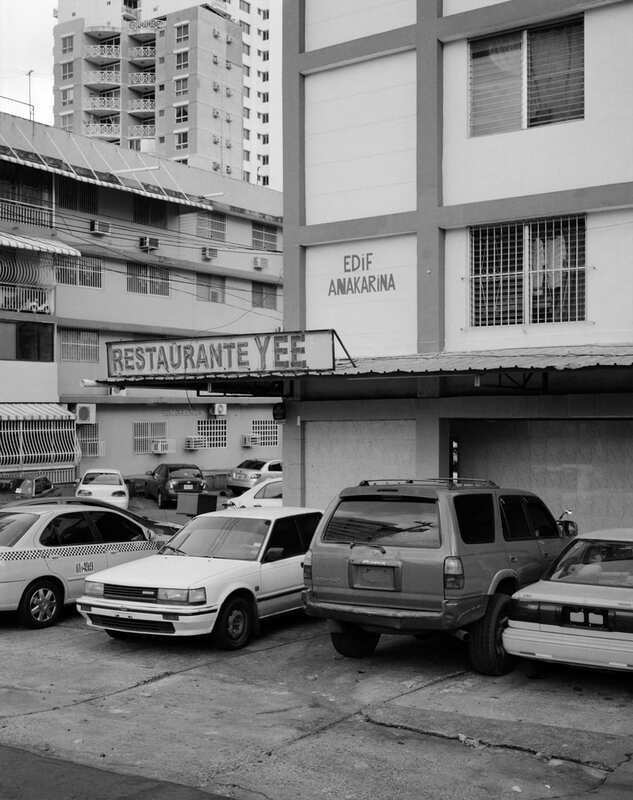 The dominant culture in Panama is that of money, and the aspirations of many people revolve around financial speculation and real state. This turned my attention to the kinds of spaces that are not given much thought because they don’t support the narrative of constant progress and development. Some of these spaces reference the country’s fascinating history, while others demystify the patina of perfection and uniformity that globalization tries so hard to construct. As a byproduct of its disruptive processes, they bear the marks of inequality, improvisation and failed policy. I settled on the title from the very beginning, as I like words to guide my search for images. Having a defined concept is very helpful for framing, literally and conceptually, what I want to convey. I met Rob van Hoesel in London in 2014. I showed him the series at a show that I put together at the Architectural Association, and he agreed to publish the book right then and there. After that, it’s been a long struggle to find the funding for its publication. 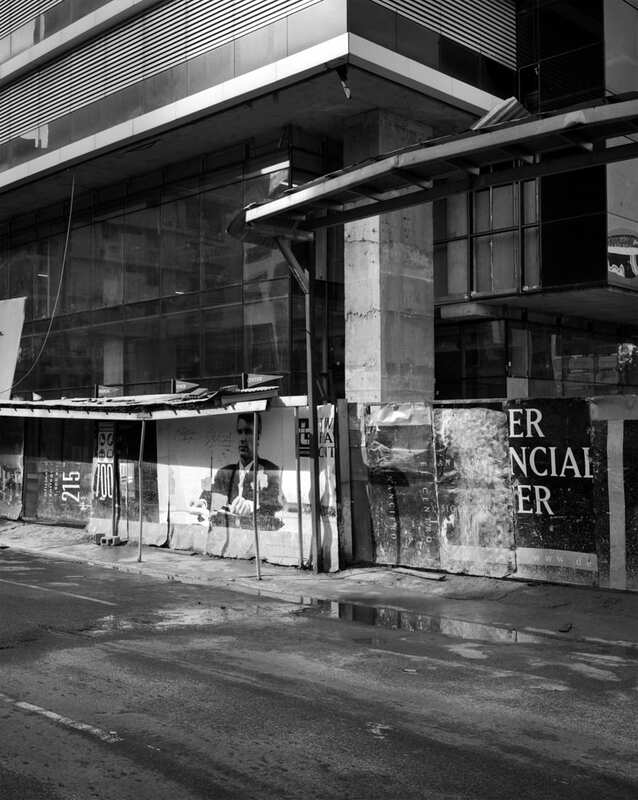 SS: Working and photographing as a relative newcomer to a city allows a certain freshness to what is visible there. How easy was it for you to identify these non-spaces, did you have to search hard? Also who do you cite as influences in your technique and style? Talk us through your process? AS: Intuition and exploration are crucial to my process, although it’s as much about noticing places as it is about finding them. Many of the pictures in the book are from in-between places that the locals block from view. 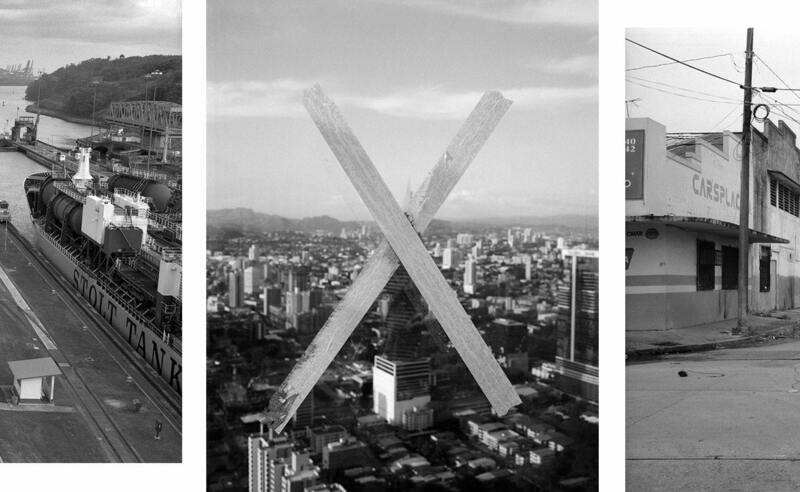 Photographing a new city is almost divided into two moments for me. First, when everything seems unique, and there is an unbridled desire to know, see and discover. It’s important to take advantage of this initial energy, before routine sets in and the eagerness to notice things decreases. Then everything seems dull for a while. Sometimes that’s because one’s already made the obvious picture. For instance, I remember this parking lot I used to drive by every day, always seeing it from the same vantage point. I didn’t even consider photographing it, until one day I walked a different route and saw it from behind. The scene changed for me. I identified a variety of dynamic relations amongst particular elements that reflected acute discrepancies in development in the city. This second phase is probably the most productive, when looking becomes more refined. I’m drawn towards images that engage with the real, that come across as analytic while retaining an influx of the artist’s emotion: affective documents that can be interpreted socially as well biographically. I’m thinking particularly of Michael Schmidt, who constructed idiosyncratic narratives that established symbolic links with Germany’s traumatic past as well as with his personal history. 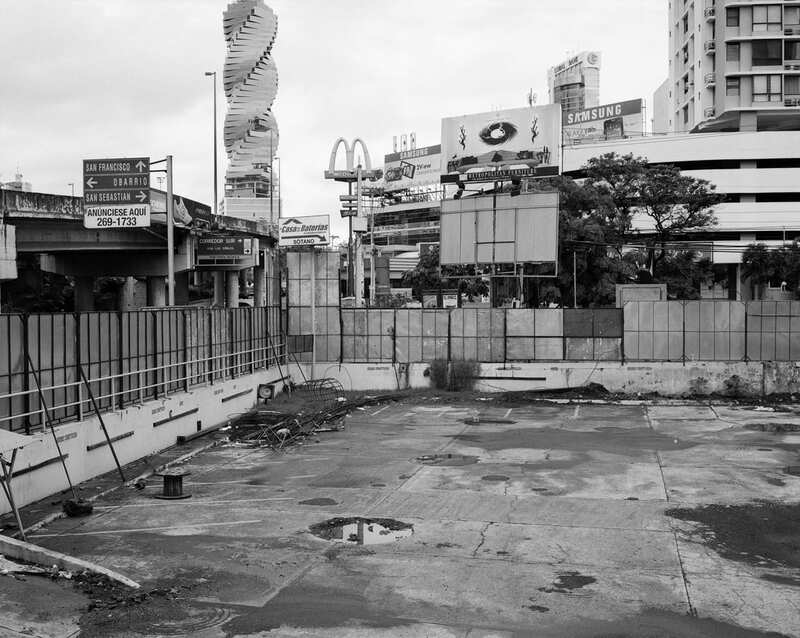 Most of his series emphasize the significance of place and derive most of their aura from it. His detached vision allowed for a poetic approximation to everyday life that’s not condescending (although he sometimes came close, as with the recurrent picture of a garbage bin in the book 89/90). Perhaps the biggest lesson I learned from him was to navigate around the obvious subject, the Berlin Wall in his case or the Panama Canal in mine. SS: In this respect what makes this project “Panama” for you and not just the underside of any major urban centre, anywhere in the world? 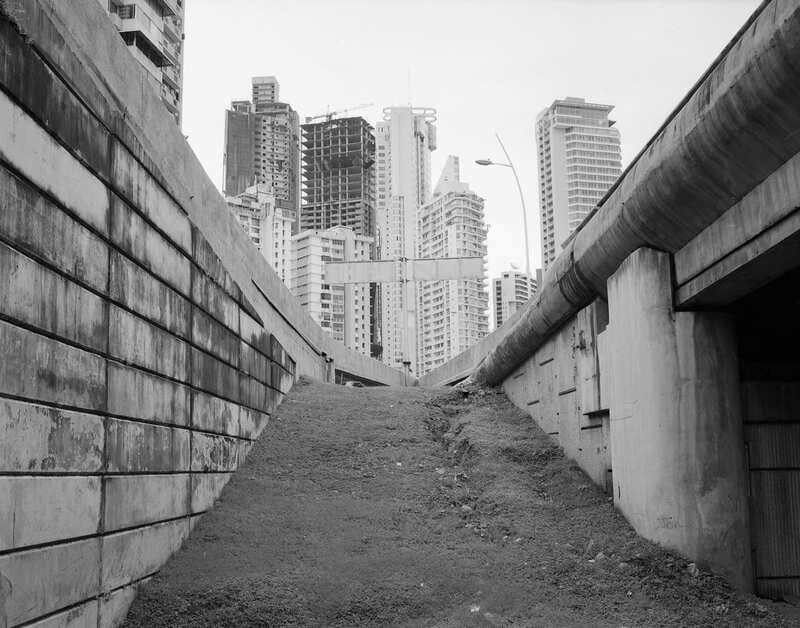 In avoiding aspects that situate the viewer and make them “secure” with some symbolic crutch of familiarity (the canal, people of Panama), is there a feeling of being slightly lost that is created? I mean this in a positive way, that from being in a position of slight disorientation, that some form of knowledge can come into being? 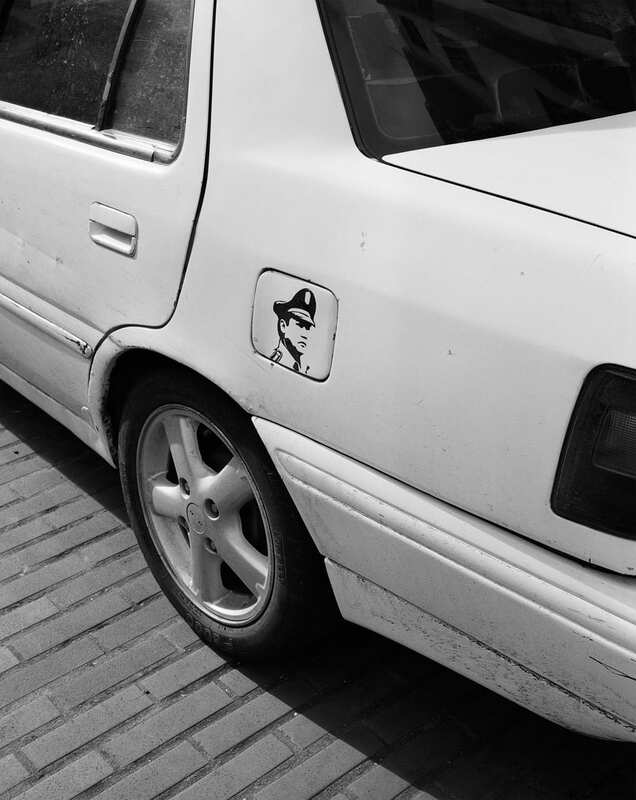 AS: For me, knowledge emerges through an engagement with city’s idiosyncratic markers (graffiti, advertisements, cars, street planning, public fixtures, etc.). There are plenty of wide shots in the book that facilitate the viewer’s spatial positioning, so I would make a distinction between an obtuse rendering of space (purposeful or not), with the idea of diverging from the established tropes that shape the general conception of a place. I resist the notion that all cities look the same, because otherwise, why should we bother looking? 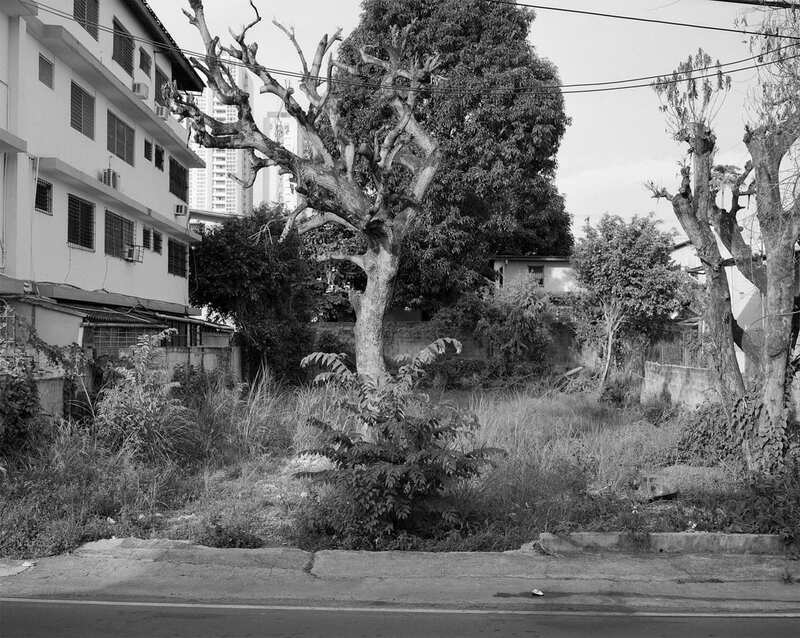 Urban landscapes have the same degree of specificity as portraits. Even if two faces are similar, they’re only so on the surface, as the traits that constitute each person are different. The same happens with cities. They might share similar elements, but their arrangement matters, as does the history that comes with them. How one understands what their “underside” is becomes therefore critical. 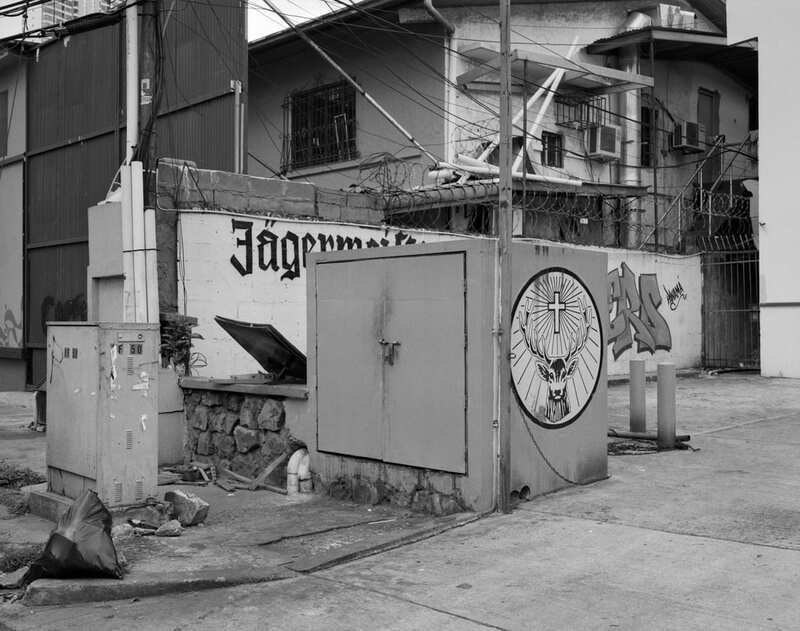 I made these pictures all over the capital, trying to convey the complexities of its social makeup (strangely enough, most of the ones included in the book are from middle-class areas). I’m interested in active spaces that suggest the ceaseless process of urban transformation. Maybe they come across as the ‘underside’ because of the gap in imaginaries between Europe and Latin-America, but there are as many specific qualities to underdevelopment as there are for stylish urbanizations. However, if by ‘underside’ you mean the less flattering aspects of a city while keeping in mind that the concept applies beyond its fringes, then you are correct. I want to bring attention to sites and objects that people ignore or brush aside in their pursuit of a neoliberal idea of progress. 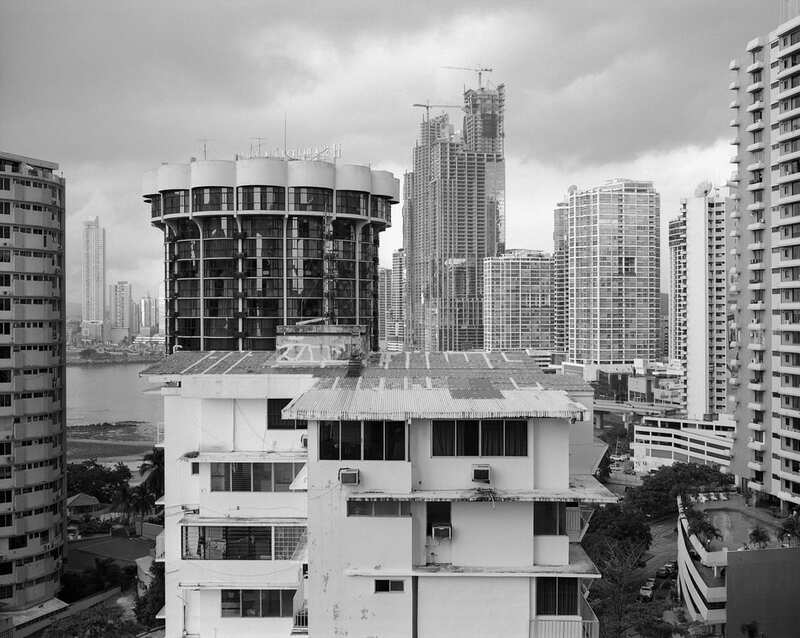 It’s quite common over there to be shown around the more affluent areas to be dazzled so that you buy into the image of Panama being up to speed with competing luxurious cities, many of them tax havens. There is so much underdevelopment in between these areas that the charade inevitably falls apart. Perhaps the crux of the matter is whether one believes that photographs capture only what’s in front of the camera, or if they register further intensities that are not immediately visible, but that seep through the substrate of the film in similar ways to the optical unconscious. Without putting forward an esoteric theory of photography, I believe that many factors influence our representational acts and leave their trace in the pictures. Psychology and sociopolitical context, for sure, but also something as evident as the weather. 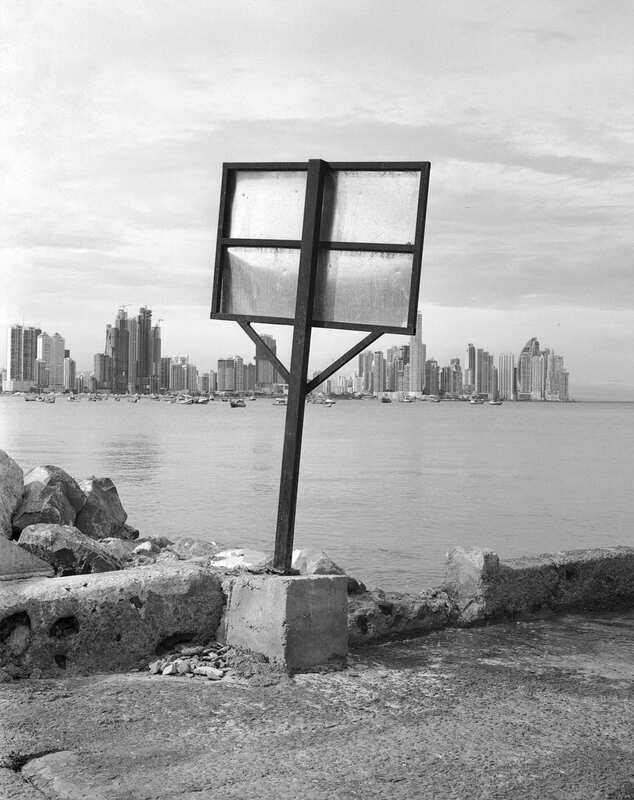 Heat and humidity influence everything in Panama, from behavior to language to architecture. SS: Got it. In fact looking deeper into the images, the evidence of encroaching development is clearly there as is the contrast between that and the layers of history and social change the city and its people have endured, a set of carefully noticed details on your part. 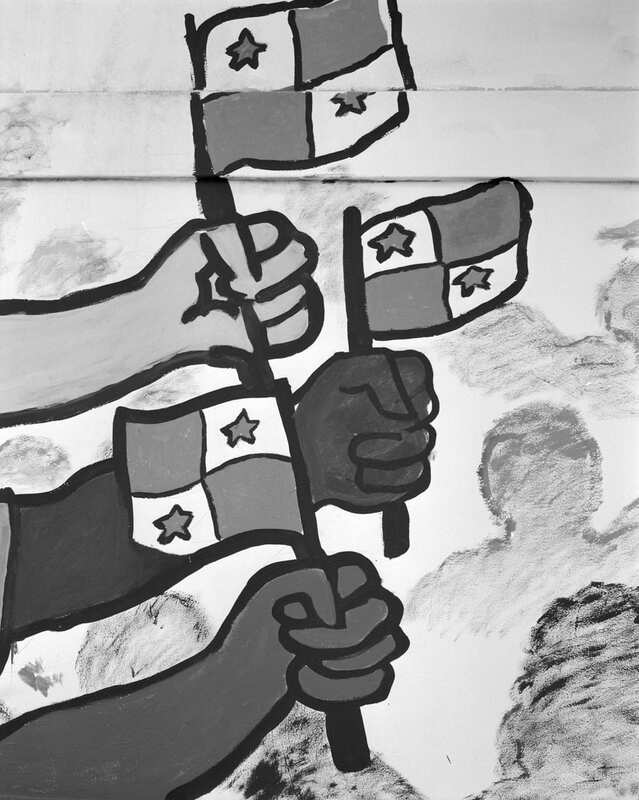 Kevin Coleman’s essay at the end of the book expands on Panama’s history, its railroad and the canal, its relationship to US foreign policy and so thereby providing a compelling context in which to re-read the images. The complimentary text situates the pictures very well but so does the title, In The Heat, like you mention above, I can see how the weather influenced some of your choices around the book’s production, not only the title, but the font, the gold/copper leaf, the tint and the tone, can you say more? AS: Photobooks that lack any contextual information run the risk of getting reduced to their formal qualities, and they’re trickier to release from the grips of passive consumption. The trend follows the idea of photography as autonomous, or at least as so open-ended that any text is seen as intrusive. While I believe there are appropriate cases for every artistic strategy, this series needed the support of an essay to help the viewer engage and decode the signs within its sequence. I’m very pleased with how Coleman’s text informs without being didactic. The material aspect of the book evolved over many years and as many conversations with the publishers. It was a true collaboration. We wanted the design to be very minimal, and the choice of duotone printing, along with the hazy yellow that we settled on, tried to give the impression of an overwhelming climate, with sweat constantly dripping and mold growing everywhere; but also to give a sense of exhaustion, when your life is reduced to a transaction, and you feel out of sync with everyone. When photography is your only aid to find meaning in a blistering environment. Posted in Feature, Interviews and tagged Arturo Soto, Central America, Kevin Coleman, Michael Schmidt, Panama, Rob van Hoesel, Sunil Shah, The Eriksay Connection.